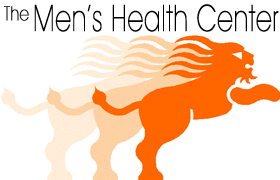 The Men’s Health Center is no “treat ‘em and street ‘em” shop. Dr. Peiffer will schedule appointments for as long as the patient needs to deal with his health concerns. Most working men like to make the most efficient use of their time and doctors need to be aware of that. “You’ll only get the chance to see your client once or twice a year. The rest of the time it’s phone calls. Because of that, you have to make accurate health risk assessments, conduct a complete physical and set goals for the client during one comprehensive meeting. Offering convenient office hours is a first step in tailoring medical services for men and they appreciate the center’s availability, be it early morning, evenings or anytime on the weekend.” Of course it will take a lot more than convenient office hours to change the male attitude about regular check-ups, but more and more men are recognizing that they can live longer, more productive lives with just a bit of help from medical science.